N 51° 52' 46" and W -0° 25' 2"
Luton in Luton (England) with it's 258,018 residents is a town located in United Kingdom about 29 mi (or 46 km) north-west of London, the country's capital place. Time in Luton is now 08:44 AM (Sunday). The local timezone is named Europe / London with an UTC offset of one hour. We know of 10 airports nearby Luton, of which 5 are larger airports. The closest airport in United Kingdom is London Luton Airport in a distance of 2 mi (or 3 km), East. 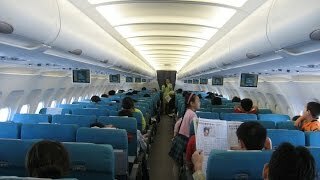 Besides the airports, there are other travel options available (check left side). There are several Unesco world heritage sites nearby. The closest heritage site in United Kingdom is Blenheim Palace in a distance of 10 mi (or 16 km), West. Also, if you like the game of golf, there are several options within driving distance. We collected 1 points of interest near this location. Need some hints on where to stay? We compiled a list of available hotels close to the map centre further down the page. Being here already, you might want to pay a visit to some of the following locations: Caddington, Streatley, Barton-le-Clay, Chalton and Dunstable. To further explore this place, just scroll down and browse the available info. Let's start with some photos from the area. 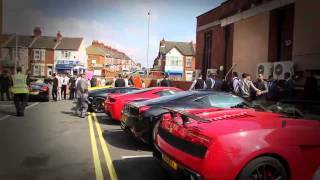 Luton Asian Wedding Zahoor (Titery) Wedding Boy's Trailer DOB: Zahoor. 4 minutes walk around Luton Airport Departures. 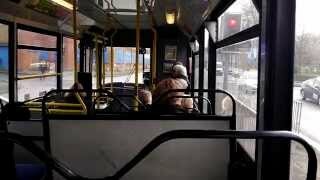 Centrebus Noisy Dennis Dart on Town Route 19 Luton Circular Via Wigmore Asda. Along With 502 (S502 APP) This Bus Also kept its Old Rollblinds and in my top Favorite Buses in my Centrebus Fleet. 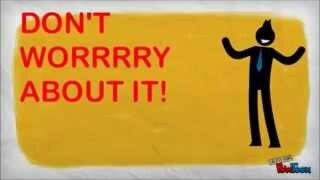 Best Carpet cleaning Services/Companies In Luton -Call 01582 214328 NOW! 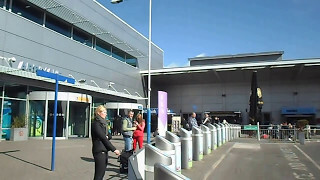 Luton Airport Arrivals and Departures. 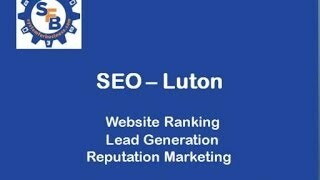 SEO Luton Tel 01283 342021 Now! The A6 is one of the main historic north south roads in England. It currently runs from Luton in Bedfordshire to Carlisle in Cumbria, although it formerly started at a junction with the A1 at Barnet. Located at 51.8782, -0.408 (Lat. / Lng. ), about 0 miles away. BBC Three Counties Radio is the BBC Local Radio service for the English counties of Bedfordshire, Hertfordshire and Buckinghamshire (referred to as Beds, Herts and Bucks). Its main studios are on Hastings Street in Luton; the studios at Willen in Milton Keynes produce the breakfast show from 6am to 9am. The Managing Editor is Laura Moss, who moved from BBC Radio Northampton in April 2012. Located at 51.877, -0.418 (Lat. / Lng. ), about 0 miles away. Kenilworth Road Stadium (almost always known simply as Kenilworth Road) is a football stadium in Luton, Bedfordshire, England. It has been home to Luton Town Football Club since 1905, when financial complications forced the club to leave its previous location at Dunstable Road. The ground has also hosted women's and youth international matches, as well as a number of local competitions. The 10,226 all-seater stadium is situated in Bury Park, one mile (1.6 km) west of the centre of Luton. Located at 51.8842, -0.431667 (Lat. / Lng. ), about 1 miles away. The A1081 road in Hertfordshire, England broadly follows and replaces the former route of the A6 south of Luton in Bedfordshire. It runs from Luton Airport south via Harpenden to St Albans and then bears southeast via London Colney to High Barnet, where it meets the A1000. The route was renumbered to avoid giving the impression that it was better engineered than it is. The main beneficiary of this renumbering is the city of St Albans where the A5 and A6 used to meet. Located at 51.8697, -0.397 (Lat. / Lng. ), about 1 miles away. vte]Railways around Luton Legend x20px Midland Main Line x20px Leagrave x20px x20px x20px Branch to Dunstable x20px x20px x20px Luton x20px x20px x20px Luton Bute Street x20px x20px x20px Luton Airport Parkway x20px x20px x20px x20px x20px x20px Luton Hoo x20px x20px x20px Chiltern Green x20px x20px x20px x20px x20px x20px To Welwyn x20px x20px x20px Midland Main Line Luton Airport Parkway railway station is the railway station for London Luton Airport in Bedfordshire, England. Located at 51.873, -0.396 (Lat. / Lng. ), about 1 miles away. Luton railway station is located in Luton, Bedfordshire, England. The station is near to the town centre, about three minutes' walk from the Arndale Shopping Centre. It is situated on the Midland Main Line and is operated by First Capital Connect. Located at 51.8823, -0.41432 (Lat. / Lng. ), about 0 miles away. Luton was a rural district in Bedfordshire, England from 1894 to 1974. http://www. visionofbritain. org. uk/relationships. jsp?u_id=10144085 It covered an area surrounding Luton on the north, west and south. In 1933 it was expanded greatly by adding nearly all of the former Eaton Bray Rural District. The district was abolished in 1974 under the Local Government Act 1972, combining with other districts to become part of South Bedfordshire (the area is now in Central Bedfordshire). Located at 51.883, -0.412 (Lat. / Lng. ), about 0 miles away. Barnfield South Academy is an academy for pupils aged between 11 and 18, located in Rotheram Avenue in Luton, Bedfordshire, England. Barnfield South Academy opened on September 1, 2007, sponsored by Barnfield College; the college has also sponsored Barnfield West Academy. A £30 million building opened to students in March 2011, equipped with ICT facilities, including iPads, wireless laptops, interactive white boards and data projectors, and a 300-seat theatre. Located at 51.8683, -0.40742 (Lat. / Lng. ), about 1 miles away. The University of Bedfordshire is based in Bedford and Luton, the two largest towns in Bedfordshire, England. A campus in Aylesbury, Buckinghamshire is for students studying Nursing and Midwifery. It has more than 24,000 students. Nearly 3,000 international students study with the university. The university was created by the merger of the University of Luton and the Bedford campus of De Montfort University in August 2006 following approval by the Privy Council. Located at 51.8778, -0.411389 (Lat. / Lng. ), about 0 miles away. Radio LaB, formally Luton FM is a student radio station, managed, produced and presented by students at the Luton town centre campus of the University of Bedfordshire in Luton, Bedfordshire (formerly known as the University of Luton). Radio LaB stands for Radio Luton and Bedfordshire. Radio LaB is now a full-time radio station with a community license. Located at 51.8778, -0.41138 (Lat. / Lng. ), about 0 miles away. St Christopher Iba Mar Diop College of Medicine is a medical training establishment in Luton, England. The medical college is listed in the International Medical Education Directory (IMED) as a college within the University El Hadji Ibrahima Niasse of Dakar, Senegal. According to the IMED listing, the college was formerly named St. Christopher's College of Medicine, and diplomas prior to 2006 were awarded under that name rather than by the university. Located at 51.8743, -0.413606 (Lat. / Lng. ), about 0 miles away. Stockwood Discovery Centre, formerly known as Stockwood Craft Museum, is one of two free admission museums situated in Luton (the other is Wardown Park Museum). The museums in Luton are a part of a charitable trust, Luton Culture. The discovery centre displays collections of: Local Social History, Archaeology, Geology and Rural Crafts. It also houses the biggest horse-drawn carriages collection in Europe, Mossman Collection. The external part of the Discovery Centre features extensive gardens. Located at 51.8661, -0.4225 (Lat. / Lng. ), about 1 miles away. Wardown Park is situated on the River Lea in Luton. The park has various sporting facilities, is home to the Luton Museum & Art Gallery and contains formal gardens. The park is located between Old Bedford Road and the A6, New Bedford Road and is within walking distance of the town centre. Located at 51.8936, -0.418889 (Lat. / Lng. ), about 1 miles away. Located at 51.864, -0.421 (Lat. / Lng. ), about 1 miles away. Wardown Park Museum, formerly the Luton Museum & Art Gallery in Luton, is housed in a large Victorian mansion in Wardown Park on the outskirts of the town centre. The museum collection focuses on the traditional crafts of Bedfordshire, notably lace-making and hat-making. There are samples of local lace from as early as the 17th century. Located at 51.896, -0.418 (Lat. / Lng. ), about 1 miles away. Stockwood Park is a large urban park in Luton, Bedfordshire, in the Farley Hill estate. With period formal gardens, leading crafts museums and extensive golfing facilities, it is about 100 hectares in area. Located at 51.8653, -0.424722 (Lat. / Lng. ), about 1 miles away. Luton Bute Street railway station was the first to be built in Luton. It was opened by the Luton, Dunstable and Welwyn Junction Railway Company in 1858, which was an extension of the Welwyn and Hertford Railway. The track to Welwyn was completed in 1860 and taken over by the Great Northern the following year. It was valuable to Luton people not only for passengers but also for facilitating the London market for the town's trade in plaited straw goods. Located at 51.8817, -0.4139 (Lat. / Lng. ), about 0 miles away. Luton International Carnival is a large carnival in Luton, Bedfordshire. Usually taking place on the late May bank holiday Monday every year and attended by over 150,000 - 200,000 people each year, the procession starts at Wardown Park in Luton before making its way down New Bedford Road, around the Town Centre via St George's Square, and back down New Bedford Road to finish up back in Wardown Park. Luton Town Hall is situated at the junction between Manchester Street, Upper George Street and George Street, Luton, England; the current building was completed in 1936 on the site of the older Town Hall which was burnt down 19 July 1919, following the Peace Day Riots. Located at 51.8799, -0.4178 (Lat. / Lng. ), about 0 miles away. Located at 51.8787, -0.410221 (Lat. / Lng. ), about 0 miles away. The hat Factory is an arts facility in the centre of Luton, England that seeks to develop the arts in the town and surrounding region. The hat Factory opened in April 2004, and includes theatre, music, comedy, dance and film programmes. The hat Factory contains a studio theatre, sprung dance studio and space for music rehearsal and recording, as well as meeting rooms and conference facilities. It is home to several creative companies, including the organisers of the Luton Carnival. Located at 51.881, -0.414 (Lat. / Lng. ), about 0 miles away. The Mall Luton is a large shopping centre in the centre of Luton, United Kingdom. It was formerly an Arndale Centre until it was purchased by The Mall Company in 2006. It was temporarily called The Mall Arndale, but is now referred to as The Mall Luton,although local people still refer to it as "The Arndale". Located at 51.8806, -0.430556 (Lat. / Lng. ), about 1 miles away. Diverse FM is a radio station which broadcasts in the Luton area. Formerly it operated under an RSL (Restricted Broadcasting License), that was until it was awarded a full license from Ofcom in 2007. From April 2007, Diverse FM broadcasts 24 hours a day, 7 days a week. Located at 51.8785, -0.4383 (Lat. / Lng. ), about 1 miles away. Luton Town Football Club was formed in 1885 as an amalgamation of two local clubs, Excelsior and Luton Town Wanderers. On its formation, the merged team adopted Excelsior's Dallow Lane stadium as its home ground. The club moved to Dunstable Road in 1897, and relocated again eight years later – settling at the newly constructed Kenilworth Road ground before the 1905–06 season. Located at 51.8818, -0.426686 (Lat. / Lng. ), about 0 miles away. Luton Corporation Tramways served the town of Luton in Bedfordshire from 21 February 1908 until 16 April 1932. Located at 51.8796, -0.4175 (Lat. / Lng. ), about 0 miles away. These districts belong to Luton. These are districts that are close by, but belong to a different city than Luton. These are some bigger and more relevant cities in the wider vivinity of Luton.